Landlords and tenants are to receive faster and more effective justice in the event of property disputes, under proposals unveiled by Communities Secretary Rt Hon James Brokenshire MP. The vast majority of landlords are responsible owners, but a number of tenants continue to live with the fear of being evicted at short notice or remain stuck in poor accommodation. With housing disputes held in a number of different legal settings, the process can be confusing and act as a deterrent to some of the most vulnerable seeking justice. "Everyone deserves to live in a safe and decent home, and this government is bringing about real change in making renting more secure. "The proposals announced today will help ensure both tenants and landlords can access justice when they need it – creating a fair housing market that works for everyone." This is part of the £1 billion reform programme to build a justice system that is fair, straightforward and accessible to all. It also builds upon comprehensive government action to rebalance the relationship between tenant and landlord. 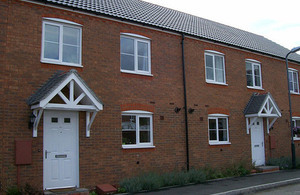 Other measures being taken include requiring all landlords, like agents, to join a redress scheme; ensuring all letting agents are members of a client money protection scheme to protect landlord and tenants’ hard-earned cash; and banning letting fees and capping tenancy deposits so that tenants have more money in their pockets. This call for evidence relates to England only. The impact on Wales of any changes to the current functions of the county court will be addressed separately in collaboration with the Welsh government. In October 2017, the then Secretary of State committed to consult judiciary on whether to introduce a new specialist housing court. This call for evidence delivers on that commitment but also seeks views from users of the courts such as tenants, landlords and owners. This call for evidence has been developed with officials from the Ministry of Justice, HM Courts and Tribunals Service and members of the judiciary as part of the Ministry of Housing, Communities and Local Government working group. Respondents will be able to respond by online survey, email or written response. The department will provide a response to the call for evidence following its conclusion. The 2016 to 2017 English Housing Survey Private Rented Sector report found that 73% of private tenants said their last tenancy ended because they wanted it to, while 10% said they left because they were asked to leave or were given notice by their landlord. The same survey found that in 2016 to 2017 there were an estimated 23.1 million households in England. Of these, 4.7 million – or 20% – of households are in the private rented sector, which has doubled in size since 1996 to 1997, with 3.9 million in the social rental sector and the remainder owner-occupier.